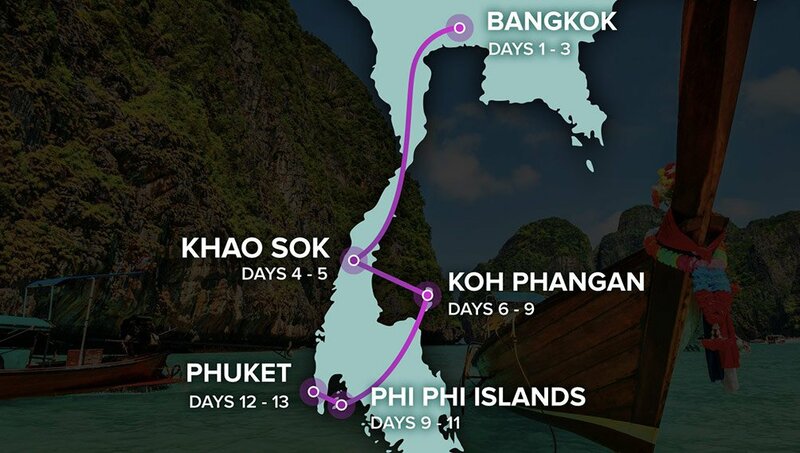 Be spoilt with premium accommodation, experience crazy Bangkok nightlife, explore ancient temples, learn to cook delicious Thai food, go tubing, kayaking, sleep overnight on floating bungalows and jungle tree houses, discover the famous Phi Phi Islands, visit an amazing Elephant Sanctuary and more! We take your accommodation to the next level on Thai Experience! You'll stay in a mix of fancy hotels, floating raft houses, jungle tree houses and beach side bungalows. When you land in Bangkok after your long flight we'll be at the airport to meet you and take you to the guesthouse. You'll have plenty of time to recover from your flight, chill out and meet everyone in your group. Experience the best of Bangkok. 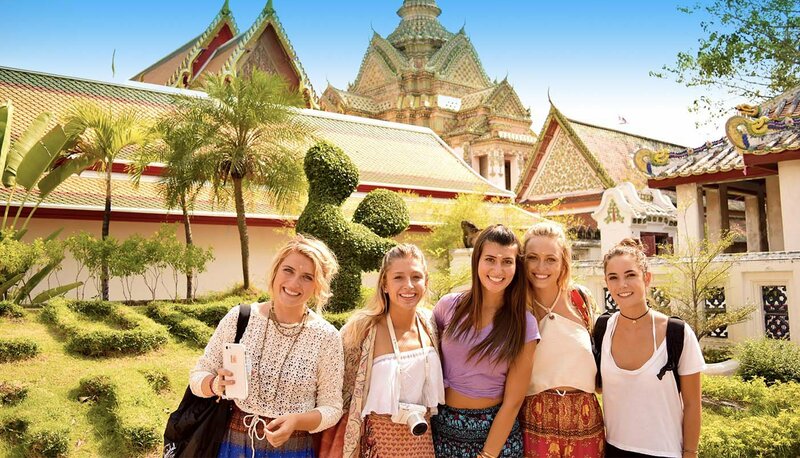 Discover ancient temples, fascinating culture, crazy nightlife and learn the secrets to cooking delicious Thai food. We'll then jump on the overnight train and head south to the rainforest! Enter the magical Khao Sok National Park, a hidden paradise of pristine lakes & limestone mountains. 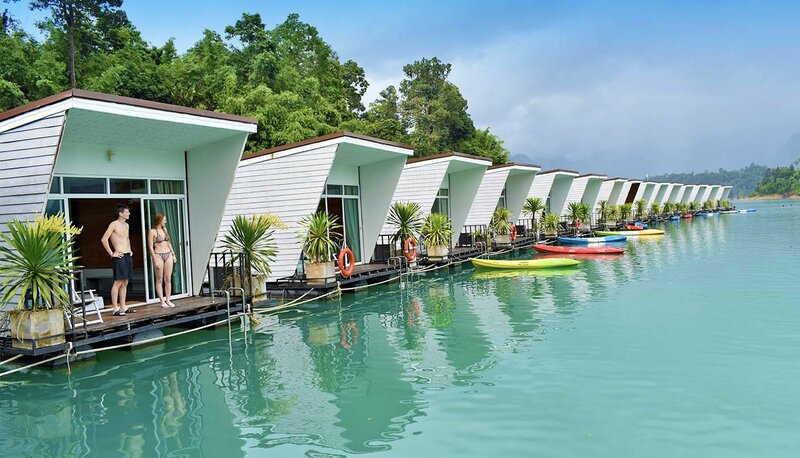 Go kayaking, monkey spotting and sleep overnight in floating bungalows! Continue further into the stunning untouched rainforest and experience local life in the jungle, go tubing down a beautiful turquoise river and stay overnight in amazing tree houses! Soak up the best of island life. Swim and snorkel around beautiful tropical islands, learn the art of Muay Thai Boxing or relax with a Yoga class. Then work on your tan with a cocktail by the pool before partying the night away on the beach! 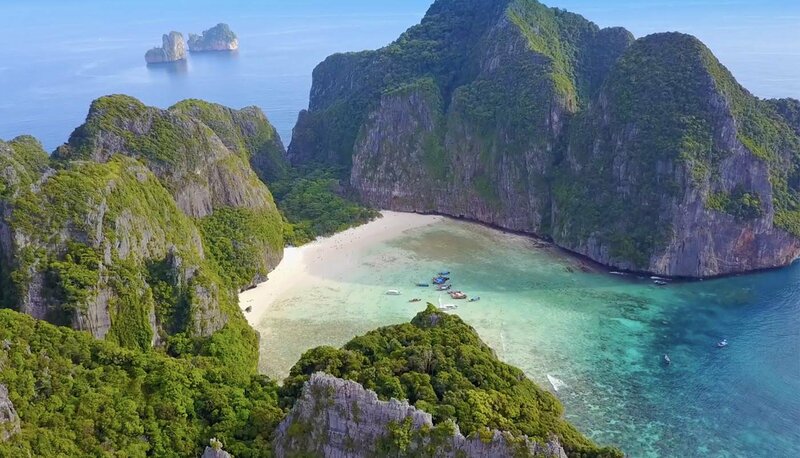 Arrive in the beautiful Phi Phi Islands for 3 days of sun, sand and stunning beaches. Check out the spectacular mountain viewpoint before experiencing Phi Phi's famous nightlife! A truly unforgettable end to your epic adventure! 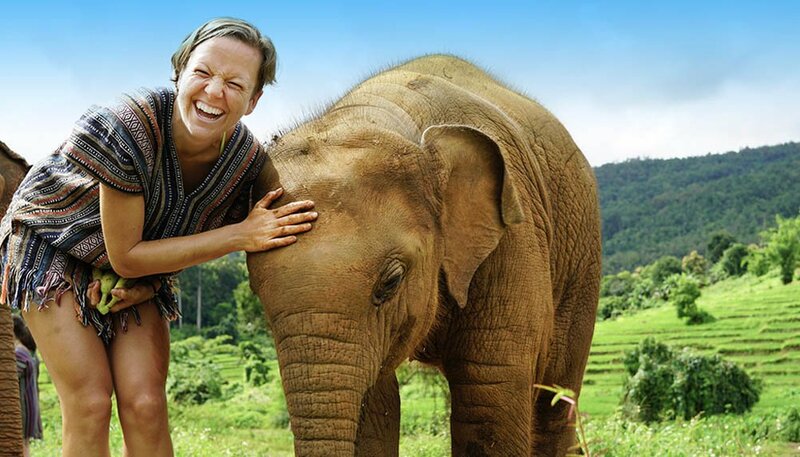 Spend the morning getting up close and personal with elephants at an amazing elephant sanctuary. We’ll then head out for a delicious farewell dinner and drinks! * All your accommodation will be in either twin or double share rooms. If you're travelling solo and want your own room throughout, just contact us at time of booking to upgrade at an extra cost. Personal pickup from Bangkok airport and airport transfer to Phuket airport. To download detailed notes on our awesome Thai Experience trip click here. We've been operating in Thailand for over 10 years and have one multiple awards for our amazing Thailand tours. Thai Experience has an average rating of 4.9/5 based on 153 customer reviews. Highly recommend Thai Experience - good mix of culture and beaches. All of the activities and beautiful accommodations were well worth the money! Great experience of Thailand and lots of fun! Loved the tour, everything was well organised and stress free. Nathan was brilliant, answered any questions we had. Friendly, fun and knowledgable! Amazing experience! Great blend of culture/nightlife/nature/etc. Lyndsay was a great leader! Such an amazing experience! Met amazing people and all the places we went too were great! What can I say! Absolutely smashing bloke, well planned tour. Everything went smooth and to plan. Will be booking another tour again.